Heart and Stroke Foundation of Quebec (514) 871-1551, or to the charity of your choice. Dear Mimi and family I was so sad to hear about your mom’s passing . Whenever a parent dies it’s an awful thing , and when a holocaust survivor passes away , a little piece of history goes with them . May she Rest In Peace and May your memories always bring you comfort . So very sorry for your loss . Dear Stephen, Mimi, Danny and the entire Cohen family. I'm so sorry for your loss. Lola was a definite part of our childhood, and I will always have fond memories of her. In those early years if we weren't playing hockey in front of my house, it was over at yours. It seemed as though the door to your house was always open and your mom was always ready to give us whatever we needed. I think it may have been her who introduced us to those Perrette sip sacs after soccer games. My deepest sympathies. Dear Mimi, my deepest condolences on the loss of your mother. My thoughts are with you and your family at this most difficult time. May the warmest memories of your mother be with you always. Dave. Dear Stephen and the Cohen Family, I have nothing but warm memories of the years spent growing up with you in Montreal and Ste Agathe. Your mother always made me feel like I was part of the family and that I was always welcome in her home. She will be missed by many. My thoughts are with you at this time. Dear Mimi and family, I was so saddened to Hear about the loss of your mom. Everytime I go to the hairdresser , I look to see you and your mom ! I hope that these fond memories help sustain you through these tough times . Wishing a long life to you all . Dear Mimi, Jill and Ryan, Bruce and I send our deepest condolences. 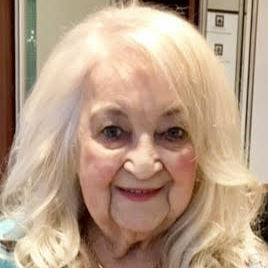 We didn’t know Mrs. Lola Cohen but we feel she must have been a wonderful Mother and Grandmother as she raised such a lovely daughter who has two wonderful children. May you and all who are close to you be spared further sorrow for a very long time to come. Dear Zina, Larry and family. Our sincere sympathy on the loss of your dear sister Lola. May the entire family be spared of further sorrow. Thinking of you. My sincerest condolences to the entire family. Holding you in my heart and in my thoughts. Death is the truest Teacher - Death never Lies. Love is the truest Healer - Love never Dies. Dear Irene, My thoughts are with you at this sad time. Dear Larry, Zina and families, our sincere condolences on the loss of your sister Lola. Our thoughts are with you. Dear Harry, Carol and all of Lola's family. Please accept my deepest and most sincere condoleances for your loss. I remember her fondly. To the entire Cohen Family, My deepest and heartfelt sympathies go out to all of you. I am so sorry for your great loss. You are in my thoughts and prayers at this most difficult time. Dear Eta and Abe, our caring thoughts are with you at this difficult time. Dear Mimi: May the wonderful memories of your mother be with you and comfort you . Thinking of you in this time of loss. My deepest sympathy to you and your family. To Lola's family. My deepest sympathies for your loss. Lola was a special lady -- a true matriarch who fiercely loved her children, grand-children and great grandchildren. Find comfort in all the special moments your shared. May her memory be a blessing. To the Cohen family, during the critical stages of childhood and adolescence, Mrs. Cohen spent countless hours with Stephen and I and made me feel important. Mrs. Cohen was the one who made sure I learned to fit in and thought me about proper etiquette, mannerisms and how to express myself. To this day I carry all the life lessons she shared with me and truly cherish all of the time we spent together. I am forever grateful to her for all she did for me and share in this moment of grief with you - my sincere condolences. To Lola’s Family, Harvey and I were saddened to hear of Lola‘s passing. She was an amazing woman. May your fond memories bring you a measure of comfort at this time. Ita, Harry, and all the family; our deepest condolences on the loss of Lola. I remember her well from so long ago. She may have been small in stature, but she left a big impression. Our thoughts are with you at this time, and we send you hugs. Dear Danny, Mimi and family. My sincere condolences and sympathies. I have such fond memories of Lola from childhood. Especially when I would be over at the house, being friends with Danny and tutored by Mimi. She would welcome me with open arms, a warm smile and always had that twinkle in her eye. I will remember her fondly. Dear Mimi, Ryan Ari & Family, Sending you all our deepest condolences on your huge loss. May the pain of your loss subside and your wonderful memories help you through this difficult time in your lives. Dear family of Lola, Remembering my Hashomer Camp Shomria childhood summers with Ita & Harry & my late mom’s friendship with Lola. So many years later Steve & Michelle & their children are close friends with my Miami family & Larry & Ala are our snowbird friends. My deepest condolences to all. Our deepest condolences to Ita and Harry and families, knowing that it is never easy to say goodbye. May you be comforted by her memory and the good she brought to the world. Dear Ita, We are so sorry for the loss of your wonderful mother. Please accept our sincere condolences. Dear Mimi, Jill, Ryan Ari and family, Please accept our condolences and sincere sympathy on your loss. Know that our thoughts are with you at this sad and most difficult time. Fondly Evie and Herb. Dear Mimi and Family. What a spectacular life and what a spectacular family Lola had, Surviving such horrors and rebounding to lay down a legacy of talent and brilliance through her children and grandchildren, she is an example of how to live a loving and productive existence. Dear Mimi & family, Our deepest sympathies on the loss of your beloved mother. She was a very special lady. Steve, So sorry for your loss. May your mother rest in peace. Dear Wagen family. My deepest condolences on the loss of your bubby. Dear Mimi, My condolences. I’m so sorry for your loss. My thoughts are with you and your family during this difficult time. Dear Mimi and family, Please accept my deepest condolences on the loss of your family matriarch. I remember her as a sweet lady who was a kind hostess when I would visit. May your family be spared further sorrow. BDE. Dear Steve and family, I remember Lola well. Each time I would come over to hangout with Steve it was like catching up with an old friend. She always had a smile on her face while giving me the 3rd degree -how was my family? how's school? who am I dating? is she Jewish? I remember laughing with her many times. She was a warm person that always made me feel comfortable when I was around. Hoping that all the memories and special times you shared will help you through this difficult time. My deepest sympathies. My prayers are with you at this very sad time. I knew how close you were with your mom Mimi and I remember her so well, always smiling and elegant . You were such a lovely daughter and you were both fortunate to have one another for so long. May she rest in peace and may your heart find comfort in her memory. Our thoughts are with you at this difficult time. May you find comfort and strength in the memories you shared with her. Peacefully, on Monday, April 1, 2019. Beloved wife of Jacob for fifty-five years. Loving and devoted mother and mother-in-law of Ita (Irene) and Abe Wagen, Harry Polka and Carol Swiston, Mimi Cohen, Stephen (Stevie) Cohen and Michelle Vineberg, Daniel (Danny) Cohen and Esther Kovacs. Cherished Bubby of Ronnie Sanders and David Condolora, Ricky Wagen and Samantha Bonder, Cara Wagen; Erin Polka and Anthony Roberts, Adam Polka and Ruth Morris; Ryan Eichler and fiancée Arielle Levine, Jillian Eichler; Emily and Alexis Cohen; Talya, Nathaniel, Zachary and Ela Cohen. Adored great-grandmother of Lauren, Jessica, Dylan, Cole, Brett, Aiden, Meg, Dylan, Jade and Eli. Dear sister and sister-in-law of Zina and Kenny Greene, Larry and Ala Gamulka. Lola will be sadly missed by her nieces, nephews, relatives and friends. Funeral service from Paperman & Sons, 3888 Jean-Talon St. W., on Thursday, April 4 at 2:00 p.m. Burial at Beit Abraham Congregation Section, Kehal Israel Cemetery, D.D.O. Shiva at her daughter Mimi’s home following burial until 9:00 p.m., Friday from 2:00 p.m. to 4:00 p.m., Saturday from 8:30 p.m. to 10:00 p.m., Sunday from 2:00 p.m. to 5:00 p.m., only. Donations in her memory may be made to the Heart and Stroke Foundation of Quebec (514) 871-1551, or to the charity of your choice.